A group of longtime urban core restaurateurs are partnering for Taqueria 5, the latest addition to Riverside's bustling Five Points commercial district. Codega Hospitality Group is opening Taqueria 5 (pronounced “Cinco”) at 809 Lomax Street, in a storefront that formerly housed a MetroPCS store. Codega Hospitality is a new entity featuring longtime pioneers within Jacksonville’s food scene. 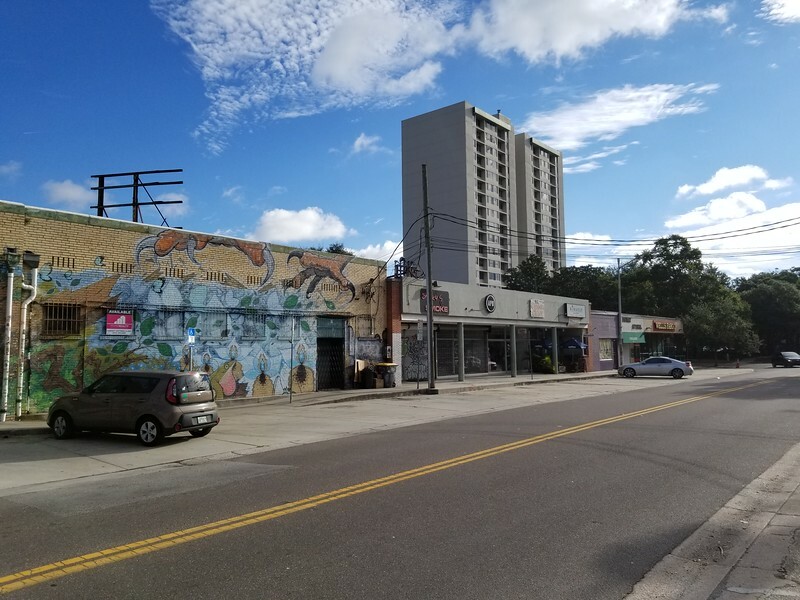 Five Points’ Lomax Street could become the next restaurant row once infrastructure improvements begin in 2019 to turn the hidden commercial strip into an outdoor cafe magnet. Taqueria 5 is a concept from the creative minds of Eddy Escriba, Matt Kemper and Marco Monroy. Cousins Eddy and Marco were part of a group that co-founded Downtown’s Burrito Gallery, which opened on the heels of Super Bowl XXXIX in February 2005. Eddy, Marco and others would go on to open Uptown Market in the Springfield neighborhood in September 2009. Matt has been a long-time chef in the Beaches area, having helmed kitchens at KC Crave and Mezza Restaurant and Bar. After leaving the Gallery Restaurant Group, Eddy helped usher in the opening of Crispy’s Springfield Gallery on Main Street. Marco teamed up with his cousin Derek Schroyer to open the Quick and Dirty Dogs / Dos Vatos Tacos food cart. All the while, the duo were scouting locations throughout the urban core to open a new restaurant. 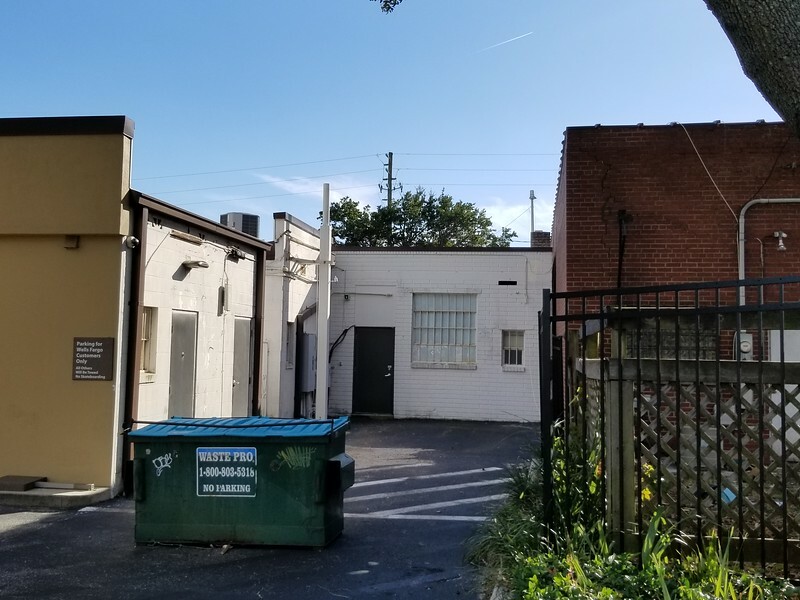 The new space in Five Points will feature just under 1,000 square feet of interior space, plus a small outdoor patio directly behind the building. Pending zoning approvals, beer and wine will also be available on site. As additional commercial development expands the reach of Five Points with the opening of Bread & Board on Oak Street and Spirit Animal on Margaret Street, Lomax Street could be the next street to see a revival. Work is expected to commence in early 2019 on the 5 Points Improvement Project, the first major infrastructure project in the Riverside/Avondale Historic District since the Shoppes of Avondale sidewalk and roadway improvement project was completed in 2010. 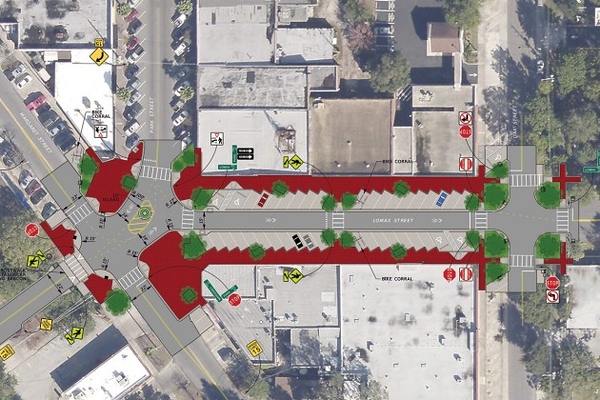 The $4 million capital improvement program will modify existing roadways throughout Five Points to enhance pedestrian use and improve vehicular safety. Lomax Street will be converted into a one-way eastbound street, with expanded sidewalk areas designed to create a plethora of outdoor seating space along this oft-forgotten portion of the commercial district. Once the improvements are complete over the next 18-24 months, Lomax may see a concentration of specialized eateries sprout up. Tell us about the concept for Taqueria 5. The concept is something that has come from all of our backgrounds and travels. Eddy spent some time in Arizona and has traveled to Mexico looking for inspiration from various regions and their cuisines. Our goal is to stay true to the concept of a real Mexican taqueria. Sourcing unique ingredients while continuing our relationship with our farmer friends for availability of local ingredients for a chef driven menu. Marco, how did your cultural and family backgrounds shape the flavors that will be showcased at Taqueria 5? Eddy and my family background is Guatemalan while Matt is American (but he tans well). We all share a passion for food and especially tacos. We have been around this type of food for a long time and feel like our diverse backgrounds give us a unique approach to this cuisine. You’ve started some very successful restaurant concepts in Jacksonville’s urban core. You both could have moved anywhere and been successful. What is it about this city and Jacksonville’s food scene that has kept your roots planted in North Florida? Burrito Gallery downtown and Uptown in Springfield were quite successful for us and we were very fortunate to be a co-founders of both those concepts. Though we left that partnership group in 2016, we both have felt a connection to Jacksonville and North Florida and have wanted to continue as a part of the restaurant community. We feel that the restaurant landscape in Jacksonville has changed a lot since we opened our first restaurant and have wanted to help it continue to grow. Because of the arrival of more diverse ethnicities to Jacksonville, there has been an explosion in ethnic restaurants opening in this area. We want to see that continue and we want to in the center of it. The Five Points area has evolved into more of a dining and entertainment district recently, with quite a bit of competition for food options. You’ve been looking for a space for quite awhile, what was so attractive about the Lomax location? The Lomax location appealed to us because of the evolution of 5 points but a favorable lease sealed the deal. We have always thought that 5 points is one of the most vibrant communities in Jacksonville. The foot traffic, historic feel an energy of the neighborhood is something we feel matches with our vision. We look forward to being a part of a growing and thriving 5 points. We feel like the support and love that we received when parting ways with Burrito Gallery was overwhelming. And we would like to thank everyone that supported us through those years and have been waiting for our next project. The addition of Matt Kemper was the catalyst for us to pursue this location and project. We feel like the time is right, the energy is there and our partnership is ready to rejoin the fast growing and exciting Jacksonville restaurant culinary collective.